The long waited trial into the Rajshahi University English Department slain Professor AFM Rezaul Karim Siddiquee killing case began on Monday in Rajshahi under a speedy tribunal. Rajshahi Speedy Trial Tribunal Judge Shirin Kabita Akter started recording witness testimonies in the case against five members of Jamatul Mujahidin Bangladesh on Monday morning, Public Prosecutor Abdus Salam told The New Nation on Tuesday. He said that all the accused except the main accused, Shariful Islam were present during the augmentation. The next hearing of the case would be held today when the rest of the witnesses would give their statements, the public prosecutor said. Earlier on April 23 in 2016, Professor AFM Rezaul Karim Siddiquee, 58, was hacked to death near his house in Rajshahi city. Following the murder, Riasat Emtiaj Sourav, son of the victim, filed a case with Boalia police station on the day and later the case was transferred to Detective Branch of police. Later on November 06 in 2017, police submitted charge sheet into the case with Rajshahi Chief Metropolitan Judge's Court against eight members of Jamatul Mujahidin Bangladesh after six month into the gruesome killing. RAJSHAHI UNIVERSITY : Teachers and students of Rajshahi University (RU) brought out a procession on Tuesday at Mukul Mancha demanding quick execution of the verdict of Prof AFM Rezaul Karim Siddiquee murder case. 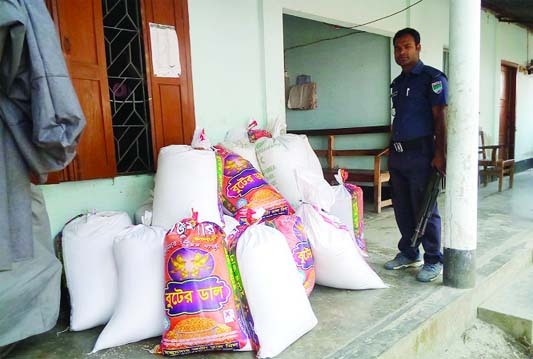 KHULNA : Police recovered 1100 kgs rice allotted for Open Market Sale (OMS) from Dhighalia Upazila of the district on Wednesday. 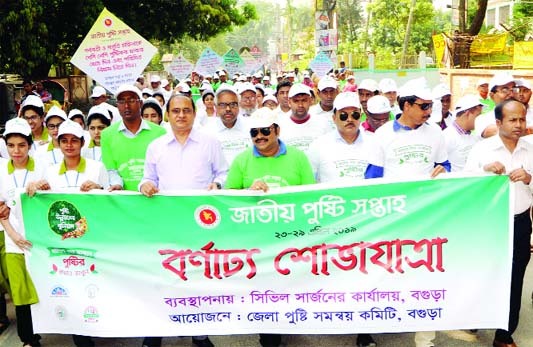 BOGURA: Foyez Ahmed, DC, Bogura led a rally marking the National Nutrition Week organised by District Nutrition Coordination Committee on Tuesday. 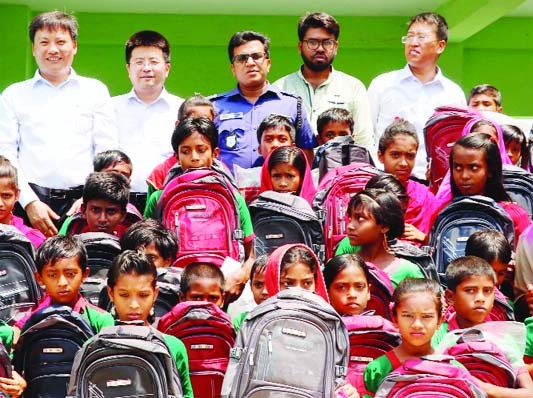 TALTOLI (Barguna): Power China Resources Ltd, a subsidiary organisation of Isotech Group distributed school bags and sports equipment among 108 underprivileged children of primary schools at Taltoli Upazila in Barguna district on Thursday. Barishal Power Plant CEO Mr Zhao Zhenqing. Power China Resources Ltd Vice-President Mr Zhao Xinhua. Power China Resources Administration Manager Ms Pan Yunping and Power China Resources Ltd Construction Department Manager Mr Liu Xinfeng were present on the occasion. 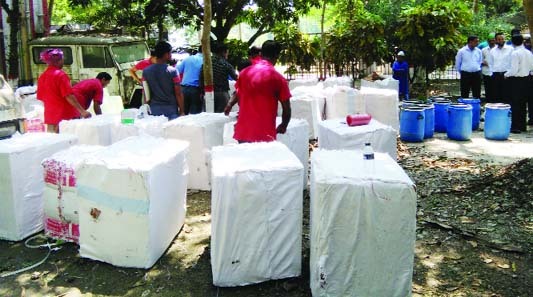 Khulna Correspondent :Police recovered 1100 kgs rice allotted for Open Market Sale (OMS) from Dhighalia Upazilla of the district on Wednesday . Four persons were arrested in this connection.